Jose Mourinho has sensationally claimed that Iker Casillas is the one responsible for David De Gea’s Spain criticism. The 27-year-old is without doubt one of the greatest goalkeepers in the world at the moment. He has also constantly been one of Manchester United‘s best players, if not the best, for half a decade now. However, his performances haven’t been as consistently impressive whilst playing for his national team, as evident from their 2018 World Cup campaign. He has received abundant criticism in Spain, which has also gone a little over the top at times. Now, De Gea’s club manager, Jose Mourinho, has addressed that criticism, and further claimed that he knows the person responsible for fuelling that particular fire. 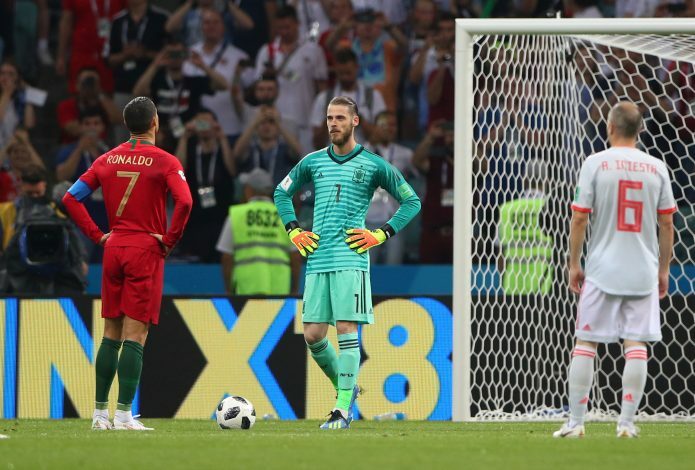 The former Real Madrid shot-stopper fell out bad with Mourinho during their time together at the Bernabeu, and their war of words seems to have rekindled of late. Casillas recently admitted that he should have dealt with Mourinho’s poor treatment towards him with a more confrontational approach. In return, Jose labelled that interview as one given by someone at the “end of their career,” and that the goalkeeper did, in fact, confront him at Real, but by choosing to hide.